Davao City’s incredible yet sophisticated culture is one thing that preserves its greatness in the eyes of its citizens and the tourists as a whole. 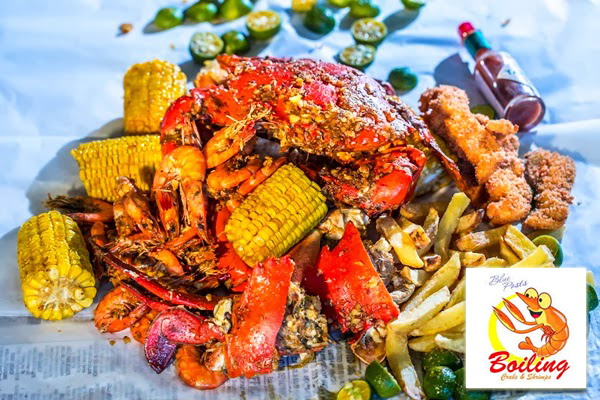 Aside from its famous Durian fruit, Davao boasts its wide variety of delectable cuisine ranging from the freshest tuna, mouth-watering crabs and shrimps, flavorful native chicken among others. Now, let's see what this proud city has to offer. Let the eat-all-you-can hunting begin! Don't you love crabs? Well, I do. I enjoy eating crabs, especially when you can eat-all-you-can. Let's Crab Eat serves crab in two types of sauce: Szechuan and Sate. 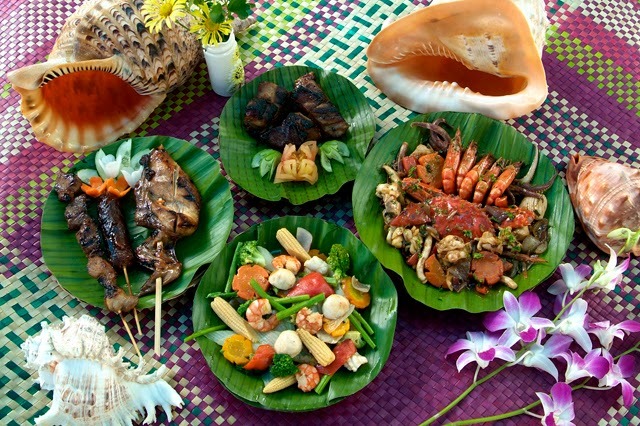 This resto not only offer crabs, but fish, shrimp, meat, pasta, vegetables, soup, salad, fruits, and sweets, too. The crabs came from a nearby province called Marinduque and they cook about 50-100 kilos of crabs everyday. With such a culinary pedigree, Blue Post is proud to reinvent the crab and shrimp experience into something more primal and unforgettable. The menu includes boiling fresh seafood in a food grade boiling bag, which is mixed with their original Cajun Special Sauce and some add-ons -- corn on the cob, sausage, and potato. It is then served on the boiling bag. Other dishes diners can expect are kinilaw, grilled seafood, salad, pork garlic belly, burger, steaks, mudslide, halo-halo, and more. They also serve bottomless drinks for their consumers. Craving for crabs? There's a perfect place here in Davao City that would answer your crabby cravings here in Glamour Resto N' Caterer. The unlimited crab was all meat and loaded with fat. It had a mildly spicy, curry-flavored sauce which was delicious. Everyday, 100 kilos of class A mud crabs (alimango) from Cotabato are delivered at the restaurant’s doors. 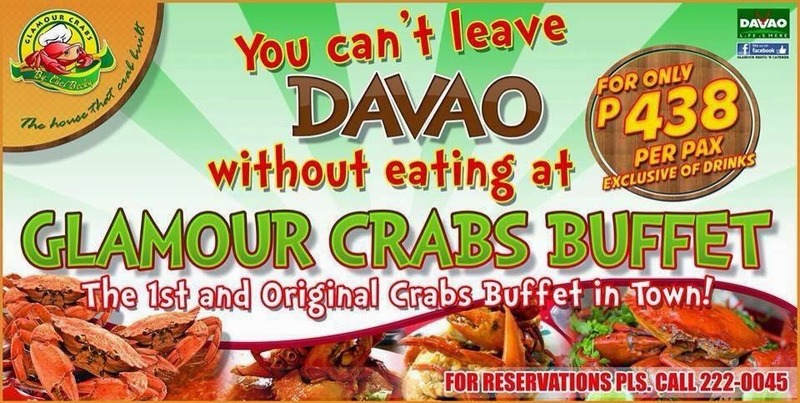 You hate crab clawing as a societal flaw, but in Davao City liberal crab mentality is the delicious kind of schlepping. 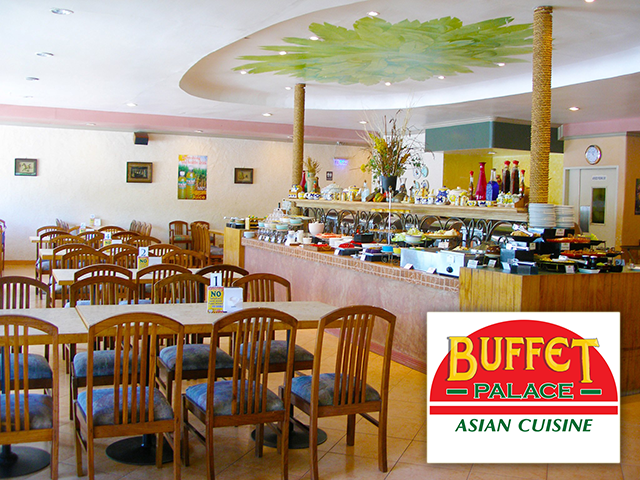 Oriental Buffet Palace is among the first buffet restaurants in the city. What distinguishes it from the others is its authentic Chinese taste. It is a perfect place not just for Chinese but also for locals who wanted to satisfy their oriental cravings! Sumptous Chinese dishes are prepared everyday. 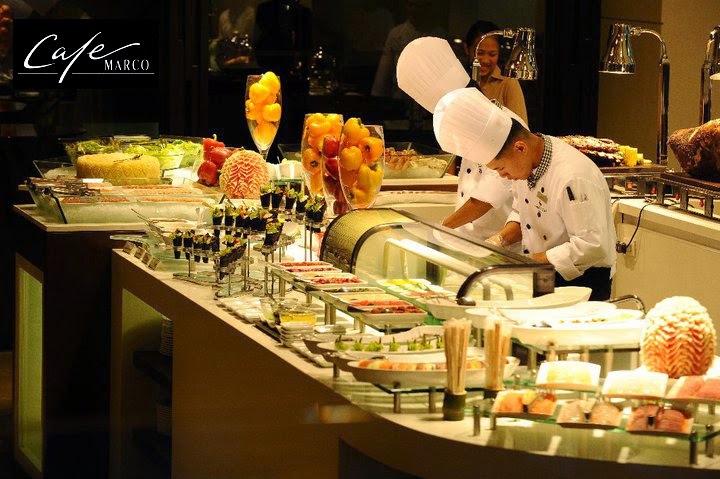 Take your first step to experiencing different cultures at Café Marco, where you are not only one of the privileged few to relish Davao’s longest buffet but you also get to challenge your gastronomic preferences by trying cuisines from around the globe which take turns on the buffet menu daily. Each buffet spread is a dazzling array of food creations—appetizers, salads and soups, entrées, and desserts—all focused on flavor and freshness. The carvery offers these succulent meats: rack of prime rib (U.S. Angus) and the all-time favorite, Lechon. Chippens is known for its buffet that offers a very wide variety of dishes; from appetizers to main courses, to mouth-watering desserts. Wide array of dishes, great service and relaxing ambience conveniently located right at the Heart of the City! Excuisite Cuisine, Unsurpassed Level of Service and Roomful of Smiling Faces... That is the Chippens Difference. The name RANCH and REEF came about because of their love to eat good food. Their extensive search made them open their own and serve dishes that they personally love. 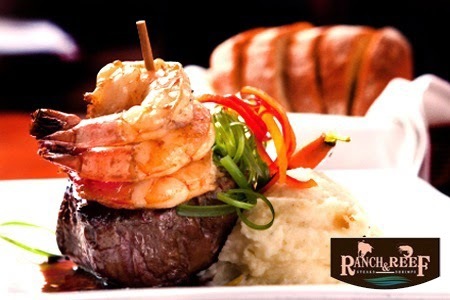 Ranch from their infamous steaks and Reef from their tempura, the owners aim to cater to the growing need of good food and pocket friendly restaurants that we all look for. Aside from US certified steaks and the best tempura in town, they also offer other dishes and desserts that will certainly satisfy your palate. Their menu change every day so there is always something to look forward to. 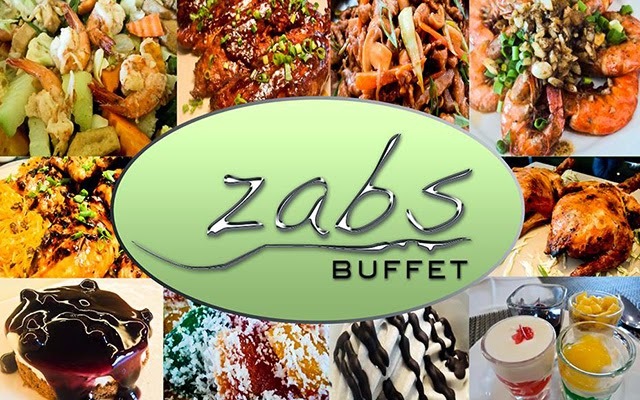 Zab’s buffet is your solid restaurant deli with great food and friendly atmosphere. There service was awesome and people working are extremely friendly and accommodating. 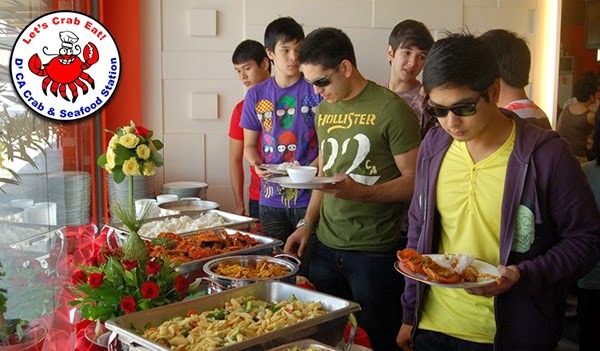 Their buffet specializes in ridiculously fresh and tasty crab meat, as well as a particularly succulent roast beef. The freshest locally sourced ingredients are brought together in an exciting display of taste and culinary talent.